J.R. Bell, age 94, of Altamont, Illinois passed away at 5:25 p.m. Monday, August 13, 2018 at St. Anthony’s Memorial Hospital in Effingham, Illinois. Funeral service will be at 10:30 a.m. Saturday, August 18, 2018 at C&A Pagel Funeral Homes in St. Elmo, Illinois. There will be a one-hour viewing prior to the service. Jay Bell will be officiating. Burial will be at Beecher City Cemetery in Beecher City, Illinois. Visitation will be from 5 to 8 p.m. Friday, August 17, 2018 at C&A Pagel Funeral Home in St. Elmo, Illinois. Memorials may go to American Cancer Society or the donor’s choice. 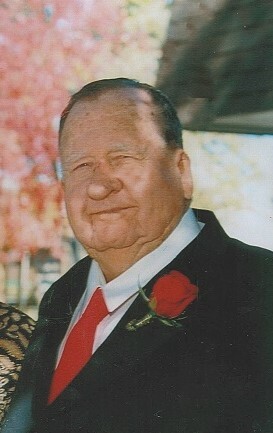 J.R. was born on April 27, 1924 in Drumright, Oklahoma, the son of Lester and Lilly (Todd) Bell. He married Nancy Lee Anderson on December 22, 1960 in Vacaville, California. He served in the U.S Air Force and Army for 20 years and retired as Master Sergeant. During WWII, he was awarded five Bronze Battle Stars. He was employed through St. Anthony Memorial Hospital as an Electrician for 13 years. He enjoyed woodworking, golfing, fishing, traveling and spending time with his family and friends. J.R. loved to donate his woodworking creations during the Christmas holidays. He is survived by his wife, Nancy Bell of Altamont, Illinois; son, Jay Bell (wife Judi) of Beecher City, Illinois; daughter, Sharon Lee Carruthers (husband Brian) of Altamont, Illinois; two sisters, D. Marie Bell Pankey of Henderson, Nevada, Doris Eileen Gatton (husband Jerry) of San Antonio, Texas; six grandchildren, Dawn Burrow (husband John), Daniel Bell (fiancé Jamie Schaefer), , Ethan Bell, Trisha Ratliff (husband Josh), Jade Price (husband Jimmy), Dalanie Bell and six great-grandchildren. He was preceded in death by his parents, Lester and Lilly Bell; step-mother, Marie Bell; brother, Ray Bell and sister-in-law, Kathryn Bell.